The Arc railing system from Livers Bronze has been called a “timeless classic” due to its longevity and truly unparalleled design. The Arc system stands out with strong elements incorporating powder-coated posts with a wide selection of railing finishes. From stainless steel to hardwoods, Arc railings add a touch of excitement to the overall architectural design. The Arc railing system with glass combines visually appealing post combinations with the creative options available in the glass industry. It makes selecting this hand railing system your easiest decision. 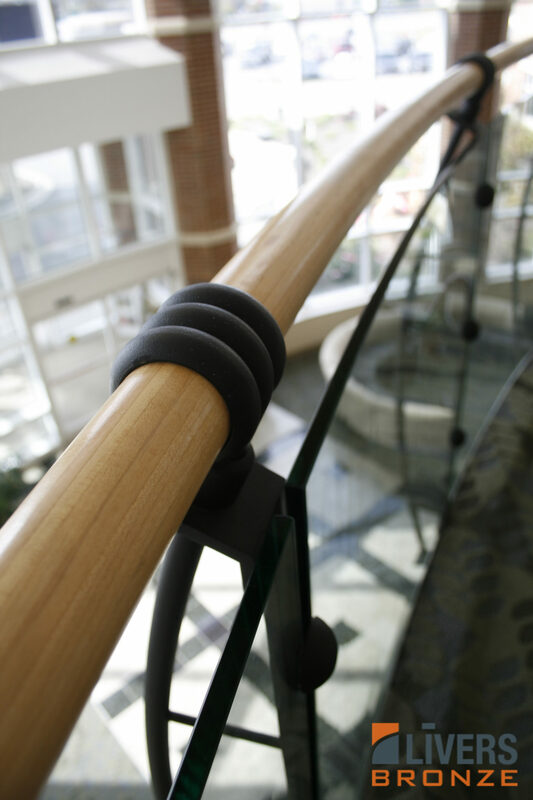 The railing utilizes 1/2'' tempered or laminated glass panels positioned between and attached directly to the Arc post. 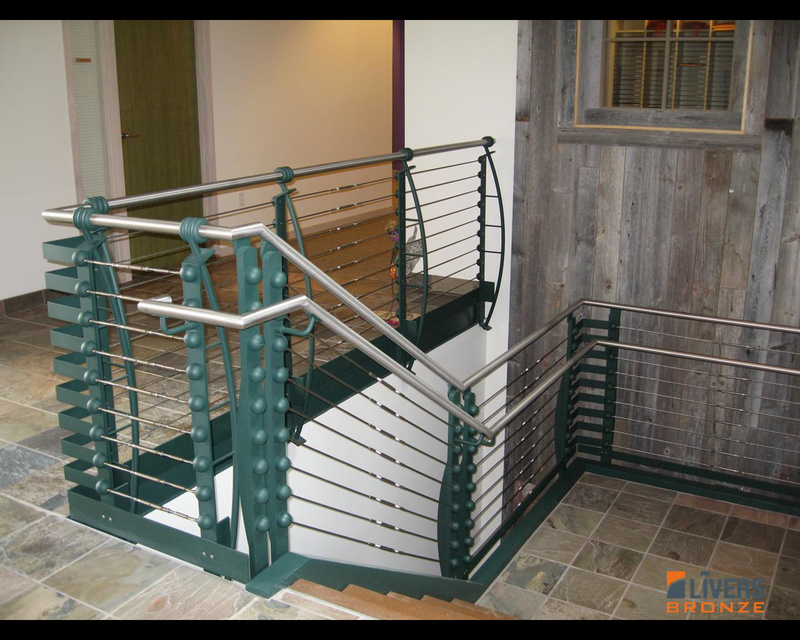 This pre-engineered railing system can be incorporated into any design layout. 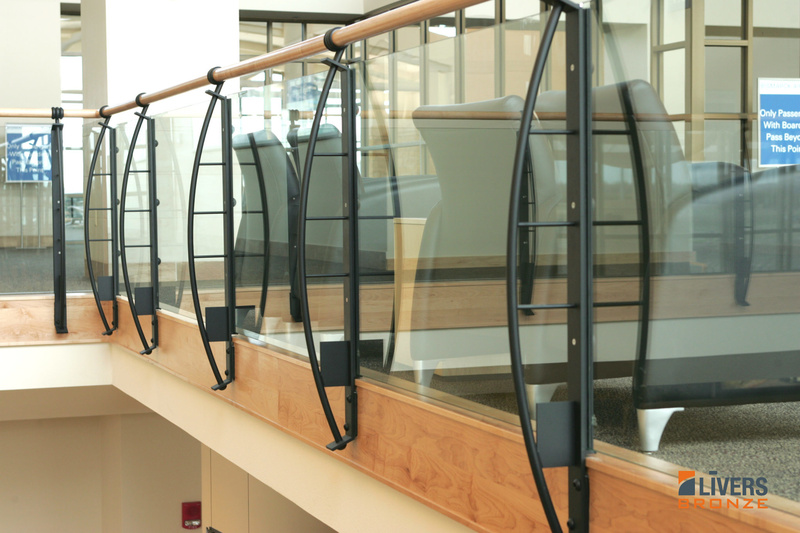 Radius railings utilize bent glass panels. 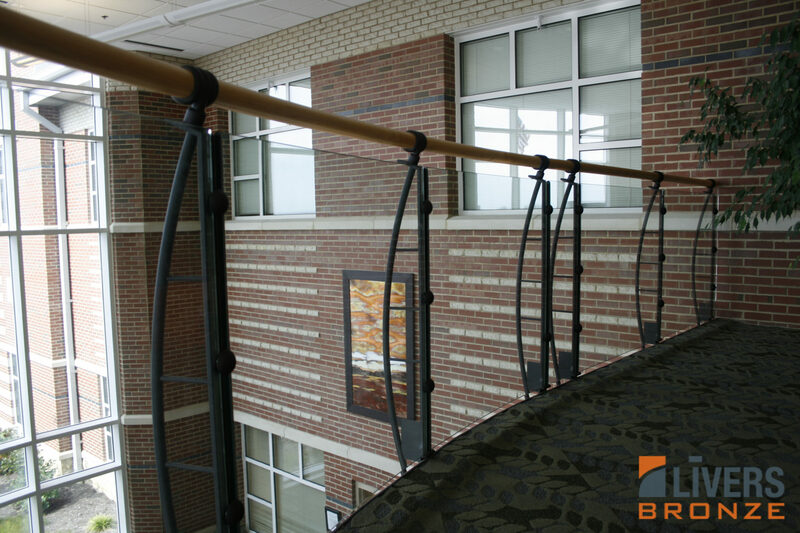 The Arc railing system with cable is THE stainless steel cable railing system to specify on your next project. The railing utilizes multiple 1/4'' diameter stainless steel cables attached directly to the Arc Railing post via end fittings concealed within the railing stanchion and turnbuckles in line for cable tension. This pre-engineered system can be incorporated into any design layout.